I visited mummy AB shops (My local African shop) the other day and she had fresh fufu and the first thing that came to mind was edikaikong but unfortunately for me, she didn’t have fresh ugwu but I didn’t let it stop me from treating myself to some good old edikaikong and fresh fufu. 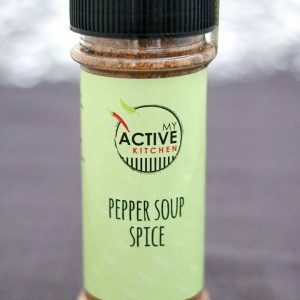 When I was pregnant with my daughter, all I could manage to eat at some point was Mr Monday’s okra soup. 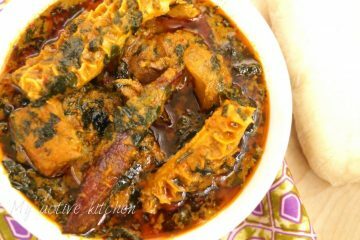 Ok, before you start wondering, Mr Monday is hubby’s work colleague and this okra soup was one of their go to soup when the boys were hungry then. The first time I had this meal I couldn’t believe my mouth. Lol. 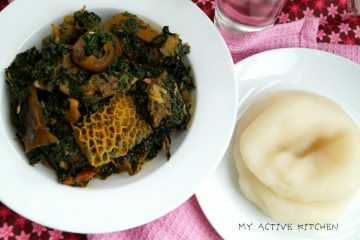 Eweso omo Alare, This is one of the easiest Yoruba local soup you can ever cook. 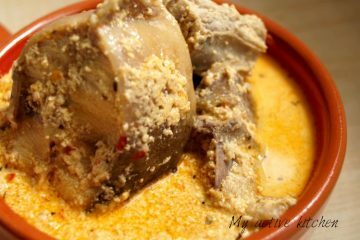 Egusi Ijebu as the name implies is from Ijebu and it is very popular too. Le bae is from Ijebu but we hardly cook this soup but the days he feels nostalgic, I have got to get myself in the kitchen and make the soup. This time around I got a bit of help from him especially when my egusi soup started clumping. 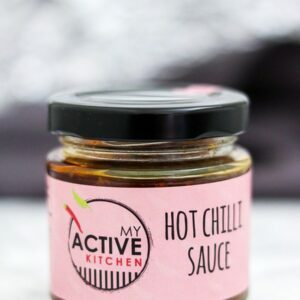 It would be a sin if I don’t share this lovely hearty recipe with you all. How are you doing today? This recipe is classic, it is simple and above all yummy. 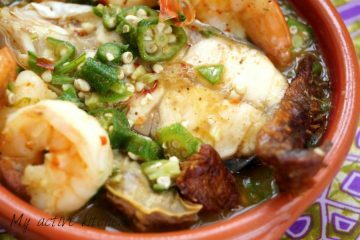 The dish is called okra pepper soup, it is mostly eaten by the Uhrobo people in Nigeria. Seriously, a part of me should move to side of the country mainly for their good food. I thought I love banga soup (Niger-Delta style) until I tried Ofe Akwu (Ibo style) and God I have been hooked since then. 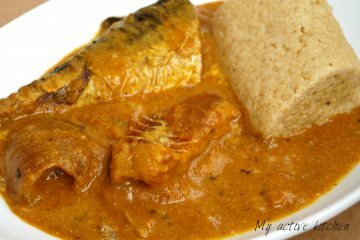 Ofe Akwu is versatile, affordable and easy to cook. 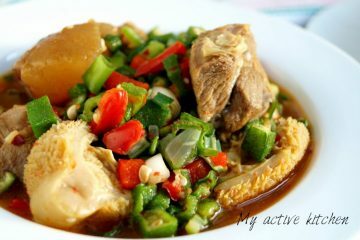 I’m yet to try abak atama soup, basically because of the Adrian fruit (Uyayak). I have a thing for that fruit and I always say to myself It will never go into my soups but hey! never say never. 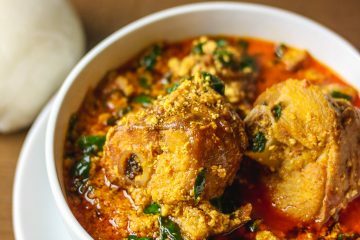 I hail o my Delta people, today’s recipe is egusi pepper soup. Yes, the same egusi (ground melon seed) we use in making delicious efo elegusi, lumpy egusi and egusi ijebu. 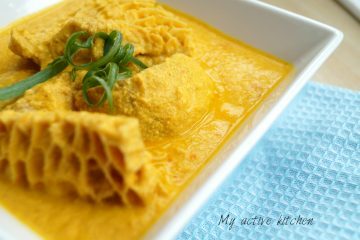 When I started this blog some months back, one of my besties from Delta State gave me some recipes of the dishes cooked from her side. 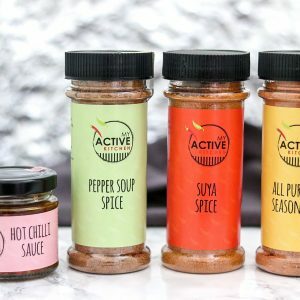 ‘Iya Basira’s’ stew has been saving lives since forever. 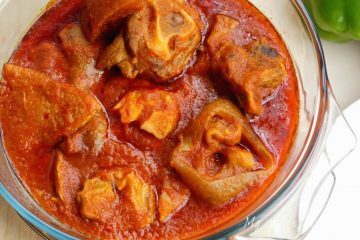 I must confess here, I have had a few share of iya basira’s beef stew (Iya Basira is an alias for some of the many women who owns a buka or ‘mama put’ in common parlance). In fact one of my friends used to say the dirtier the better simply meaning that the more skanky the restaurant (Buka) looks, the better the food tastes. 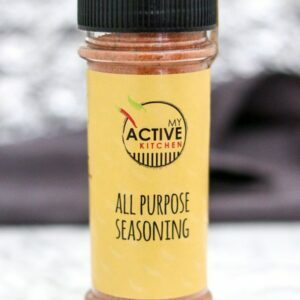 I recently fell in love with Uziza leaf and our love has kept blossoming in my kitchen. 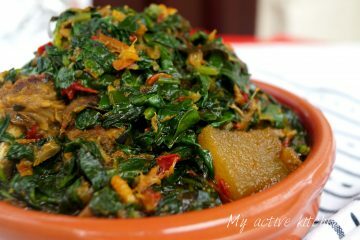 It is early days but I think you can guess by now that I added uziza leaves to this efo riro. Well I did, and I have no regrets. 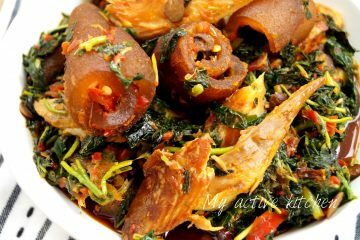 Efo riro is for us the yorubas and as a proud Yoruba gal I am allowed to brag and I can tell you, I know how to cook delicious efo riro.